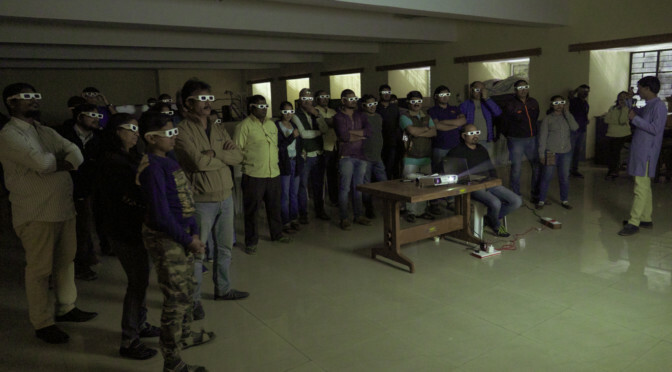 Youth Photographic Society in its pursuit to enrich knowledge of its members in the field of photography organised a unique presentation on 19th January 2019 evening by Shri.Nanda Kumar on 3D Photography, who is a self taught person and has created 3D photographs by developing his own camera set up and technique. 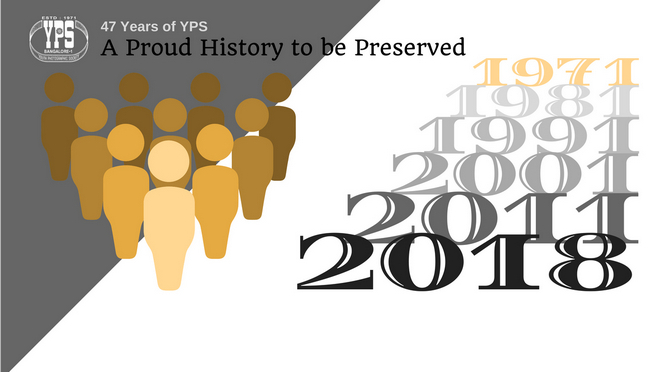 YPS enjoys a Proud History ! 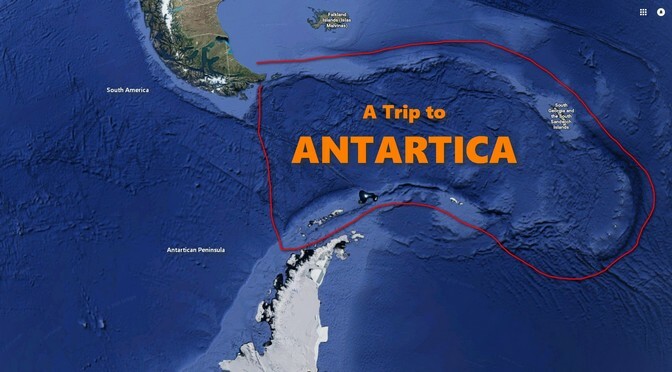 Here is a picture of historical importance. 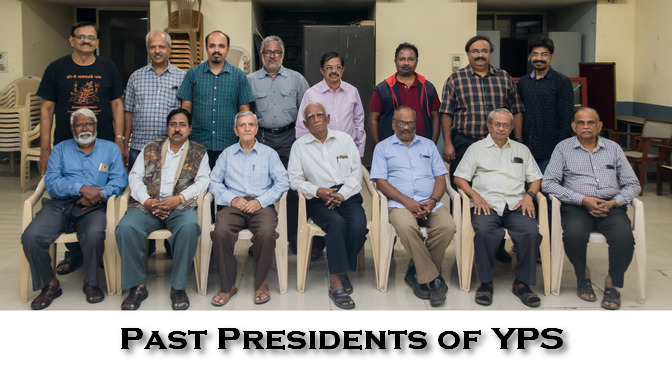 A rare picture in which you can see many Presidents of YPS seated next to each other demonstrating solidarity and concern for the growth of YPS even after many years of relinquishing their position as President. 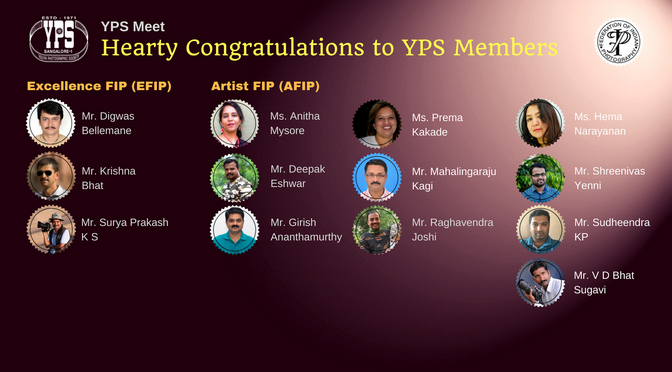 Such concern and belonging is what led YPS to where we are today. 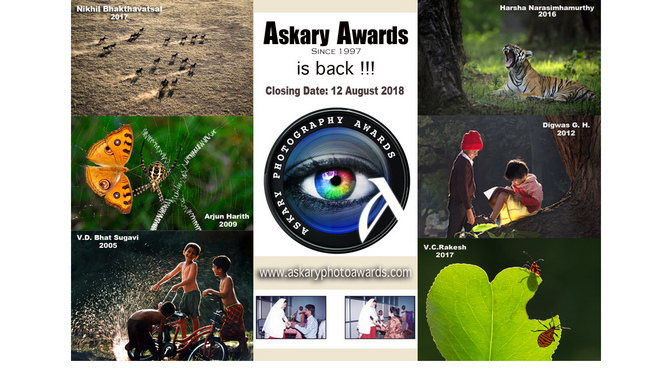 Askary Awards was instituted in 1997 to encourage photographic talent among young photographers in Karnataka State, India. 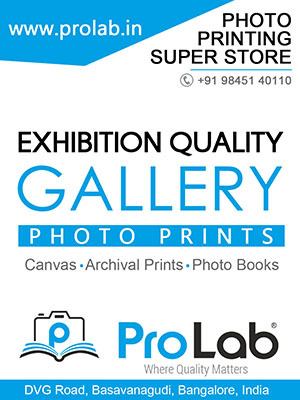 It also provides insights into photography aspects and recalls memories of photographers who have rendered great service to the art of photography in Karnataka State. Photographers below the age of 35 years from the State of Karnataka, India are eligible to apply for the awards. A portfolio of 4 photographs on any subject in colour or black and white must be submitted online along with details of the photographer to participate. Applications must be submitted on or before Aug 12th, 2018. The Askary Awards carry a cash prize and an Askary Award Trophy.